Does Johnny Depp’s Newest Role Signal A Career Shift? When you think of Johnny Depp, children's movies aren't necessarily the first thing that come to mind. And yet, the Black Mass actor has starred in several already, and seems to lining up more and more as the days go by. Following last month's announcement that Depp and Edgar Wright are teaming up to bring Neil Gaiman's Fortunately, The Milk to life, he's now taken on yet another role aimed at the little ones: Depp has joined animated feature Sherlock Gnomes as, well, a gnome version of Sherlock Holmes. Perhaps a bit unconventional for Depp, but then again, he has been known to have a unique taste in film projects (looking at you, Mortdecai). Sherlock Gnomes is actually a sequel to 2011's Gnomeo & Juliet, which made over $200 million worldwide (whaaaaaat?) and "starred" James McAvoy and Emily Blunt. Both of them will be back for the follow-up, since the new movie will follow a group of missing gnomes and the detective (Depp) who'll be called in to find them. It all sounds very... strange, to be honest, but if it keeps kids occupied for a little over an hour, who can complain? Not anyone with little ones, that's for sure. 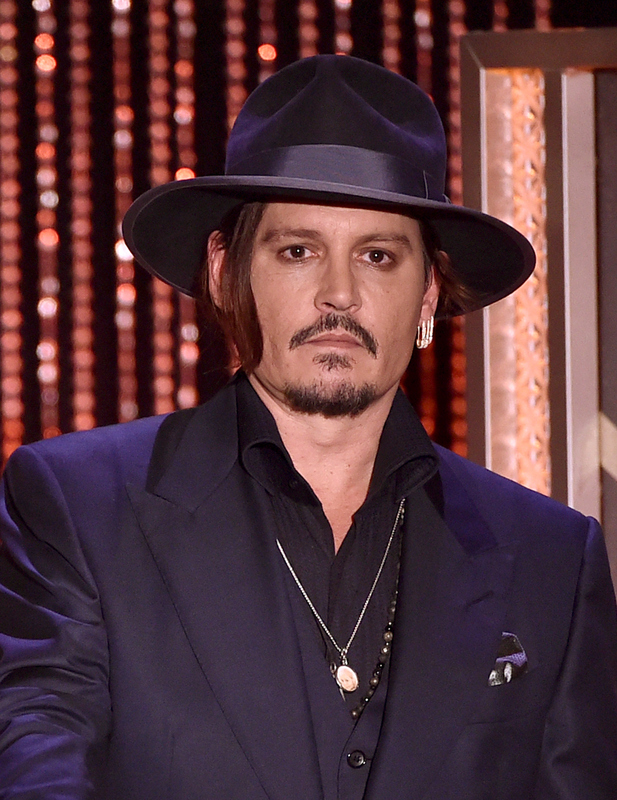 In addition to Sherlock Gnomes and the aforementioned Fortunately, The Milk, Depp has also done the Pirates of the Caribbean franchise, as well as Alice In Wonderland (and its upcoming sequel), so he's no stranger to movies aimed at younger audiences — and those aren't even all his credits in that arena. Given that Depp has two children of his own (the youngest of which is now 13), it makes sense that making entertainment that appeals to kids would be important to him, and frankly, I think it's pretty great. Admittedly, I'm not quite sure about Sherlock Gnomes or who even came up with the idea of adapting classic literary stories to fit animated gnomes, but we're here, it's happening, and kids actually seem to like it, so why not? If nothing else, they'll be familiar with these legendary tales and might actually learn something while having fun, too. That's all you can really ask for, and Depp's involvement is sure to make this sequel just as popular as the first movie.